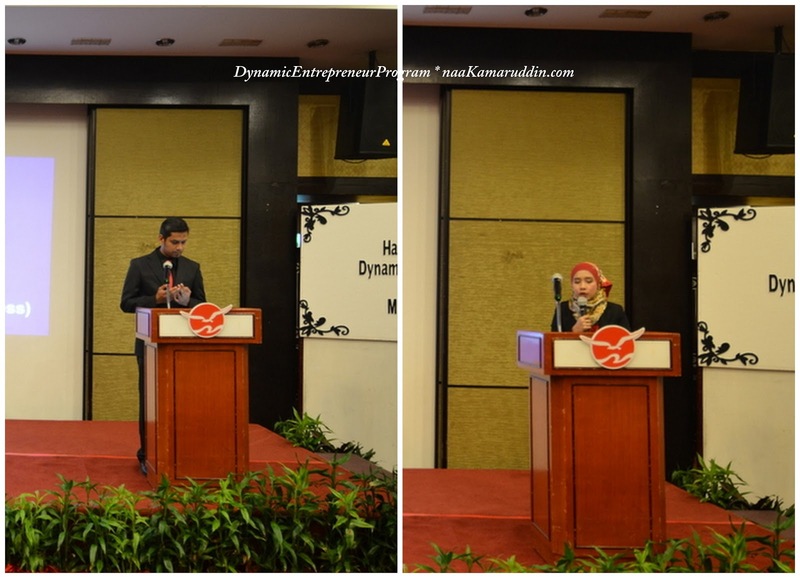 to all who came to our very first Dynamic Entrepreneur Program. Hope every knowledge, experience and advice shared by Mr. Winston will be used to boost our morale and guide our actions to be a better person, a better entrepreneur, a better follower and ultimately a better leader. For the FIRST TIME in Hai-O history, Mr. Tan Kai Hee (Hai-O Enterprise Founder and Managing Director) came to show his deepest support for GLAMpreneurs Program. And as we know, our General Manager Mr. Teoh Nee Siang is giving his full support to GLAMpreneurs by providing quality trainings one after another. GLAM IS THE ONLY GROUP GIVEN THESE OPPORTUNITIES! 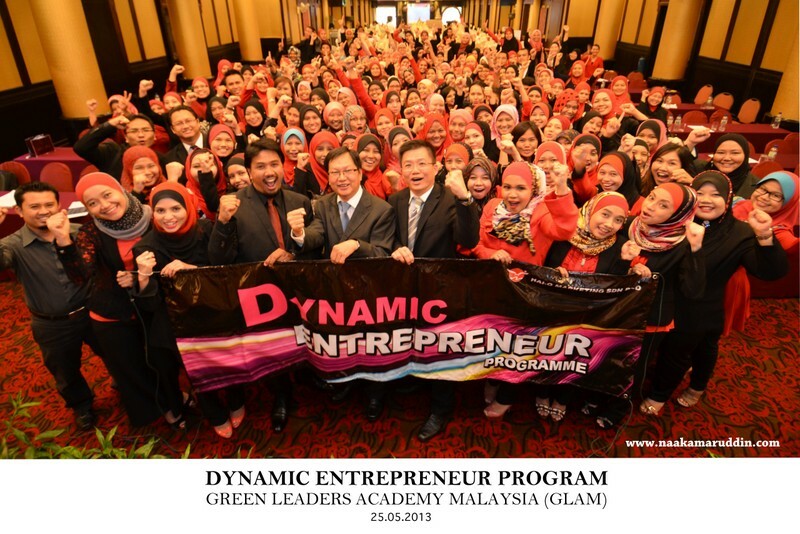 We are so lucky to be in the best team here, the Green Leaders Academy Malaysia together with our Founders, CDM Hanis Haizi﻿ dan CDM Razali Zain﻿. Thank you Hai-O and GLAM founders for organizing this event. This event was held at Bukit Kiara Equestrian Club, Kuala Lumpur on 25th May 2013. The itinerary as follows..
As early as 8.30 am, they were already here for early registration and breakfast. Good job again GLAMpreneurs for being punctual and we did impress our speaker of the day and GM again with our good attitude. Let us unlearn and learn again together! DDM Zaer and CDM Sha Khalid was the person in charged for reciting Doa and MC for that day. Opening speech by our GM, Mr Teoh.. He was giving an overview of how well we are doing now as a new dynamic team. GLAM grows so fast in these few years and we have so much potential to go further as ONE TEAM. This is why the company is giving us full support to help us develop more upcoming leaders. Our main speaker in action, Mr Winston Wong. This was actually my second session with him. No need to mention how good he is in delivering the message to us, the young entrepreneurs. Lunch time with partners and friends..
We are fully recharged with energy, knowledge and clear goals in our mind. 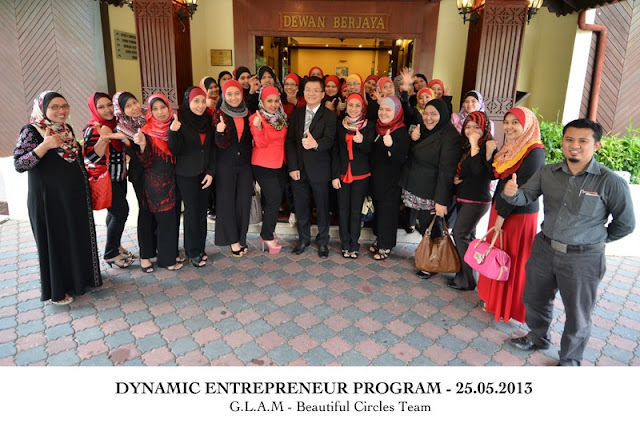 These are the faces of DYNAMIC GLAMPRENEURS! "Our futures are determined by the work we are doing today"
These are the future leaders from our Beautiful Circles Team! utara, selatan, pantai timur, sarawak and Klang Valley. Congratulations to all beloved partners. For all new entrepreneurs, GLAM brings you Dynamic Entrepreneur program every month from now onwards. Next D.E.P. will be on 07.07.2013!